The Principiano Ferdinando (eponymous but reversed, for reasons unknown) petite cantina is the entrance of the town of Monforte. Under his label, Ferdinando makes a spectrum of Piemonte wines including a to-die-for freisa and maybe the best timorasso I ever had. Then of course there are Barolos. Those all come from about ten hectares of vines, mostly spread over the communes of Serralunga and Monforte. The oldest vines from the michet clone—smaller-berried and more fragrant—are in that wormy Ravera vineyard, planted by his grandfather in 1936. The second planting commenced in Serralunga. That’s the Boscareto, which is the lower part of the hillside of Cascina Francia and it took root just after WW2. For years the family sold to the likes of Ceretto, Vietti and Giacomo Conterno. A certain amount of wine was made in demi-john, for local consumption. Ferdinando might look as if he’d be at home as the head of a Milan fashion house, but when you shake his hands you can feel the grip of a pruner and cutworm mangler. His first vintage alongside his father happened when he was thirteen. In 1993, he took over the farm and turned it into a full-fledged winery. He followed the gospel of the moment: Parker-style with new barrels and everything else that you needed to go modern. But something happened a mere decade later. Think of it: the year was 2003. Traditional Barolo was practically extinct. But Ferdinando searched his soul. He knew something was wrong. “My wines were falling apart. They weren’t even old!” More than that, he didn’t even like them even when they were young. There weren’t any. In fact, from the Belen sparkler to remarkable barbera to the Boscareto single vineyard Barolo, the wines are beauties. He has three Barolos, from two distinct terroirs. The limestone of Serralunga generally produces a more austere wine with less color and higher acid and tannin. He bottles two different wines from that commune. The Serralunga is from the younger vines, destemmed with a month of maceration. Boscareto is from the older vines, not destemmed (depending on the vintage) and foot crushed. The fermentation usually takes between 40 and 90 days and then has three years in barrel. The wine is certainly intense and needs time to unwind. 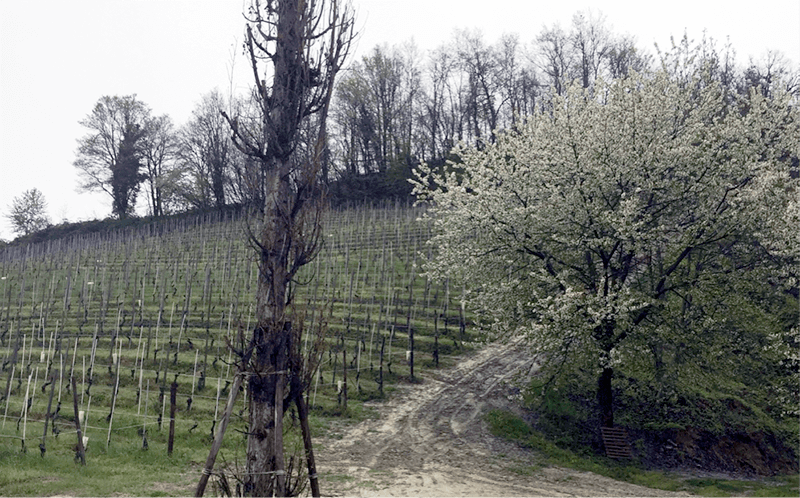 His third Barolo is produced from the sandstone-dominated Monforte Ravera vineyard. 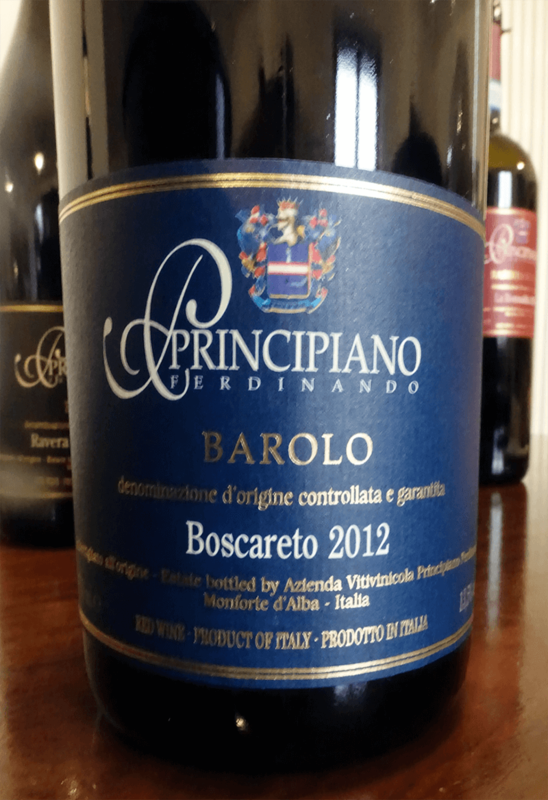 With the combo of sandstone and michet, he finds its Barolo more feminine, more approachable with a more intense color. The pursuit of harmony might be the way to look at Ferdinando’s approach. The fruit, acid, freshness and tannin in his wines seem always to hold hands. We rushed off to lunch before the restaurant closed. We all considered the wine list, it was certainly time to drink. 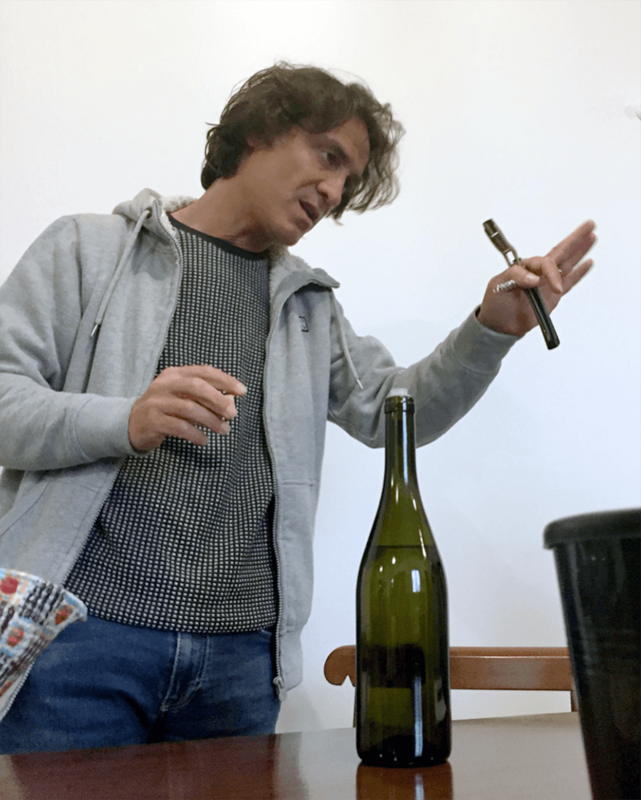 I love watching how a winemaker chooses a bottle and the wine Ferdinando most wanted, and so did we, was the 2013 Giovanni Canonica Paiagallo Barolo. We drank it. With reverence.